Manchester United have confirmed that Marouane Fellaini has completed his transfer to Chinese club Shandong Luneng. Since reports emerged on Tuesday, Fellaini had been strongly touted to be the next big name to make a move to the Chinese Super League. 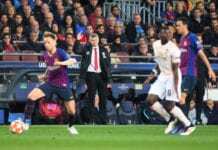 The Belgium international agreed on personal terms with Shandong Luneng on Wednesday and flew out to China on Thursday to complete his transfer after United had reached an agreement to sell Fellaini. Now the Red Devils have confirmed that Fellaini has ended his five-and-a-half-year stay at Old Trafford for a switch to China. “Manchester United can confirm that Marouane Fellaini has left the club on a permanent transfer,” read a statement on the club website. Fellaini has reportedly agreed on a three-year contract at Shandong Luneng, which will see him earn around £30m in total after taxes. 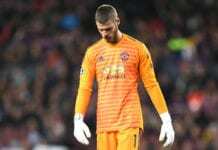 The Belgian had managed a total of 22 goals and 12 assists in 177 appearances for United across all competitions since arriving in the summer of 2013 from Everton. Fellaini featured prominently under David Moyes, Louis van Gaal and Jose Mourinho in his time at Old Trafford and was awarded a new two-year contract last June after his original deal expired. 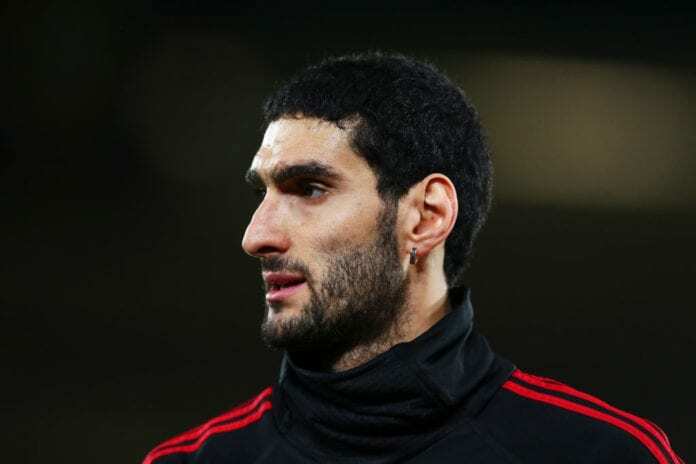 However, Fellaini has struggled with calf injury problems of late and had only managed 31 minutes of football since Ole Gunner Solskjaer was appointed the interim coach in December. In light of this, United decided to sanction Fellaini’s sale with the 31-year-old closing the curtain on his decade-long stay in the Premier League. Fellaini leaves United with a FA Cup, EFL Cup, Europa League and Community Shield to his name. The midfielder will join one of the biggest clubs in China in Shandong Luneng, who have won the Chinese Super League four times along with five FA Cup titles. Last season, Shandong Luneng finished third in the league table and 10 points behind winners Shanghai SIPG and qualified for the AFC Champions League qualifiers. Now the Chinese side hopes to add Fellaini to their ranks in time for the start of the new season, which will begin on March 1.